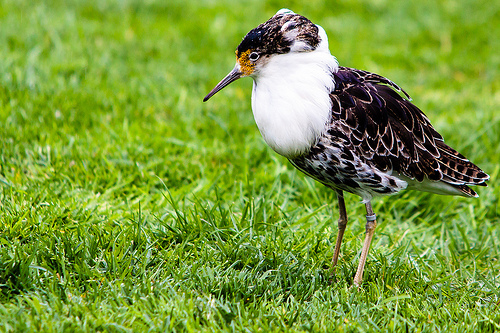 The Ruff is known for its courtship battles which males can wage in spring. With their large collars, ranging from black to dark red and white, they rotate around each other, trying to impress the females. The beak of a Ruff is shorter and darker. The Redshank has a red beak. 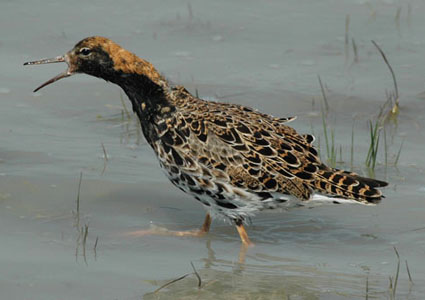 The Ruff has a rougher spotted pattern on the upperparts.